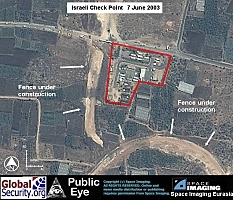 The "fence" is a grim looking structure that is part barbed wire, part electrified metal, and part high concrete wall with a watch tower and sniper positions. It is designed to keep Palestinian militants out. 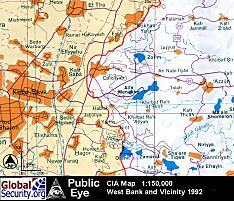 Israel's frontier with the West Bank is 365-kilometers long. The Government has decided to fence the whole line, but has yet to publish the exact route. About $1.5 billion has been allocated for the first two stages of the project. It takes different forms in different areas. 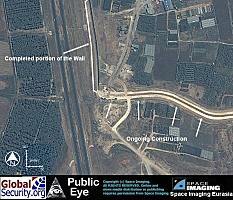 There are areas of the wall that are a huge concrete wall 8 meters high. It has watchtowers every few hundred meters, very similar to the Berlin Wall. On either side of the wall they have what they call 'buffer zones' so property is destroyed if it's too close to the wall. 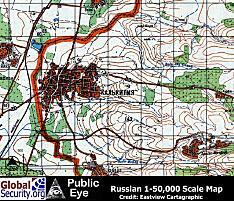 They also have trenches and a series of military roads with barbed wire on either side of the wall. The 11.3 kilometer fence that surrounds the West Bank town of Qalqilyah, will isolate the town not only from Israel, but from the rest of the West Bank as well. 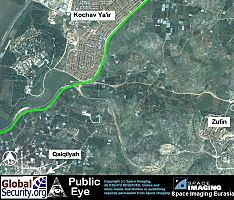 Only one road will connect Qalqilyah to the West Bank, but that road is blocked by an Israeli check-point. 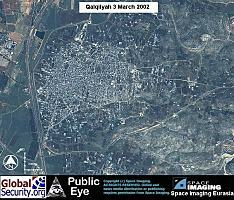 Overview of the West Bank town of Qalqilyah. 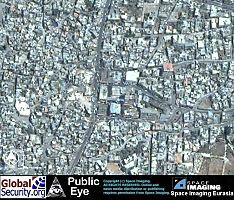 Israeli settlements are blue. These four roads will be closed to Palestinians once the security wall is completed. 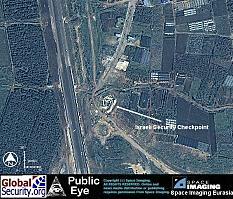 Israeli Military Checkpoint. When the security fence is completed this will be the only way in or out of the town of Qalqilyah. 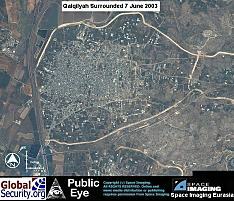 Before construction of the fence began, this Israeli checkpoint controlled access to the town of Qalqilyah. Once complete the fence will cut off access to Palestinians between the town and nearby farm lands. 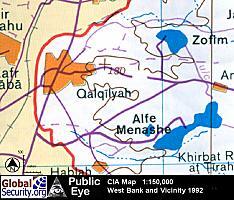 The Palestinian farmers from Qalqilyah will lose access, as a result of the security fence, to the farmlands on the eastern side of the 1967 Green line. 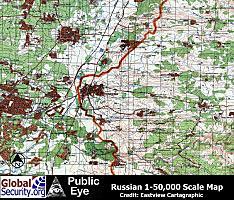 Approximately 1300 acres east of the Green line in this image will be made inaccessable by the security fence. The Ancient city of Qalqilyah was once a stop for trade caravans, and is characterized by dense random pattern of construction. The oldest section of the city has close groupings of older adjoining structures along narrow streets. 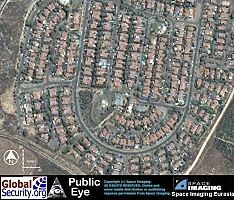 Israeli Suburbs like Kochev Ya'ir follow the layout of modern town planning standards and are characterized by single family detached houses and are arranged in a curving pattern with numerous cul-de-sacs.